Those were some of the terms used to describe Peter Shimweefeleni Kauluma, the popular and influential chairman of the Ondonga Traditional Authority for the past 37 years, who died in a Windhoek hospital on Monday at the age of 94. 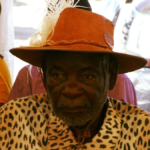 His death was officially announced in a statement issued by Joseph Asino, the secretary of the Onethindi-based Ondonga Traditional Authority. People from all walks of life have expressed condolences to the bereaved family and friends. Late Kauluma was described as “a very good person” and “a hero to many of us”. His daughter Hilya Nghiwete, wife of Ambassador Veikko Nghiwete, remembers her father as a strict disciplinarian and a straightforward person who did not tolerate people who disregard rules. “He encouraged us to study and work hard and be self-reliant,” she said. Senior traditional councillor Vilho Kamanya said that Kauluma’s death is a great loss not only to the family and the Ondonga traditional community but to the entire Namibian nation. The chairman of the Oukwanyama Traditional Authority George Nelulu expressed his heartfelt condolences to the bereaved family and friends. “He was [like] a brother to me,” said Nelulu. Veteran Namibian Editor and Head of Trustco Media, Chris Jacobie, said Namibia lost a giant of the forest and a fountain of wisdom and humility dried up. ” I developed a deep personal relationship with him and are a better person for the experience. He was just a remarkable man and anyone in his presence could not help but feel the greatness and kindness he exuded. He had a wicked sense of humour and considered his words very carefully.” Jacobie said. He said Namibia lost a remarkable man and as time passes, People will realize how big his footprint really was and how huge his shadow still falls. The late Kauluma was a trend-setter in many aspects. 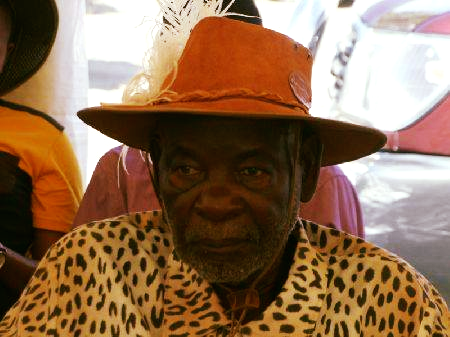 He was one of the pioneers of Namibia’s liberation politics with the likes of Herman Toivo Ya Toivo; was fluent in English at a time when the majority of traditional leaders spoke through interpreters and, being himself Oshikwanyama-speaking, was the chairman of the Ondonga Traditional Authority until he was dismissed together with three other senior traditional councillors in 2017. It is a dismissal they disputed in the High Court and the case is still pending. In recent interviews with Informanté, the late Kauluma attributed his “purported dismissal” by King Elifas to “power-hungry individuals” who attempted to drive a wedge between himself and his friend King Elifas whom he served with loyalty for many years. He said that their friendship was solid and impenetrable and dates from their childhood. Asino announced that the memorial service will take place at late Kauluma’s traditional homestead at Ongula yaNetanga on Friday and the funeral service will be held in the local Anglican Parish on Saturday.